This article features as a contribution to Liberal Reform’s review of the 2010-2015 Conservative/Liberal Democrat coalition government. It would be easy when critiquing the Coalition’s record on international development to solely focus on the actions of the Department for International Development (DFID), the government department responsible for administering overseas aid, but this is too narrow a scope. While the work of DFID no doubt plays an important role in a government’s international development policy, trade and migration policy also play a crucial role, and as such I shall look at all three. The obvious standout from the Liberal Democrats’ time in government was securing the commitment to spending 0.7% of Gross National Income on overseas aid. Securing this commitment despite some Conservative concerns was a clear success for the party, and something that should be looked back on with pride as the UK became the first major economy to fulfill its obligations to a 45 year old United Nations directive. The launch of the Independent Commission for Aid Impact in 2011 meant that not only was aid spending increased, but it was also well scrutinised, ensuring that taxpayers received value for money. Another highlight of the Coalition was DFID’s advocacy work. 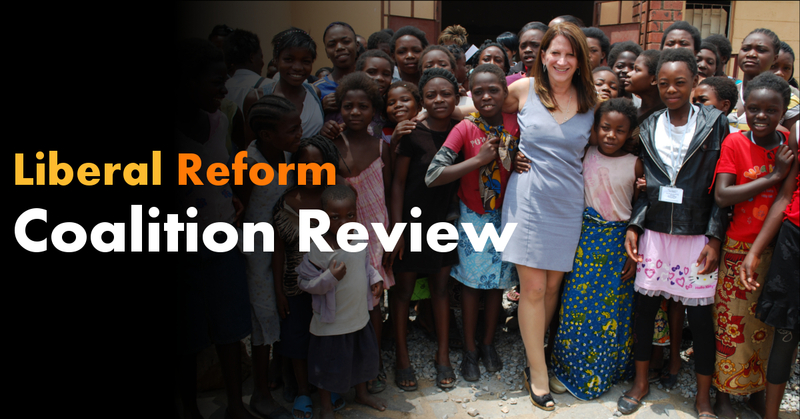 In particular advocacy concerning women’s rights and sexual violence, often led by the then Liberal Democrat Junior Minister for International Development Lynne Featherstone, stands out as deserving praise. The struggle for gender equality clearly extends far beyond the UK’s borders, and the Coalition government should be commended for recognising this. Looking forward, Liberal Democrats in a future government should seek to build on the improvements to DFID’s operation during the Coalition. For example, although aid spending efficiency has already been vastly improved, further improvement could come from increasing the amount of aid given as direct cash transfers to families living in extreme poverty, which they could then spend as they see fit; an idea that has not only been shown to be effective, but is also distinctly liberal, as it empowers individuals and is free from neocolonial connotations. The 2011 white paper “Trade and Investment for Growth” committed the Coalition government to “ensuring that lower income countries are integrated into the global market” in order to drive growth and poverty reduction; a laudable aim but one that in practice never appeared to be fully recognised. Of course, UK trade policy is set at an EU level, and as such failures in this area cannot be solely pinned on the UK government, but there are none the less areas of disappointment in the government’s approach over the period. For a start, of all the ways in which the “Trade and Investment for Growth” talks of influencing EU trade, there is no mention of reform of perhaps the biggest trade barrier faced by the economies of the global south; the Common Agricultural Policy (CAP). CAP subsidies keep prices of EU agricultural produce artificially low, pricing farmers in developing countries out of the market and therefore denying them an opportunity for revenue and growth. The Coalition did manage to successfully advocate for duty-free, tariff-free access to the EU market for Palestinian agricultural products, but future Liberal Democrats in government, assuming the campaign to keep the UK in the EU is successful, should want to go much further, and push for the review, reform, and if necessary the repeal, of the CAP if it is serious about using trade as a tool to assist international development. Beyond this, reports that ministers during the Coalition (albeit not Liberal Democrat ministers) blocked the idea of EU trade deals with developing countries due to reasonable visa requests are particularly damning of the Coalition period if not the Liberal Democrats themselves. Naturally coalition government requires compromise, but I would hope that a future Liberal Democrat majority government, should one ever be achieved, would not concern themselves with unjustified, illiberal concerns over cutting immigration, and as such would be better placed to support such trade deals, which would have significant benefits both for the UK and the developing countries they are signed with. Immigration will be dealt with more comprehensively elsewhere in Liberal Reform’s review of the Coalition, but there were some aspects of immigration policy that were particularly detrimental to international development. Changes made to immigration rules that limited access to the UK for workers from developing countries, such as limits on visas for skilled workers and stricter family visa criteria, denied these countries of a key source of development funding. Remittances sent back to developing countries from migrants account for far more than overseas aid spend, and as such future Liberal Democrats in government should seek to increase migration from developing countries into the UK. They should also seek to make sending remittances as easy and cost-free as possible, by making the UK foreign exchange market more transparent and more competitive – as called for by Liberal Reform in 2018. In conclusion, at a headline level, the Coalition government’s record on international development appears strong, but go below the surface of the 0.7% spending commitment and it still leaves a lot to be desired. No doubt being in coalition with a party more skeptical of internationalism made the job for Liberal Democrats more difficult,and the efforts that Liberal Democrat ministers went to achieve an at least partially liberal international development policy should be respected. However, should the party return to government in the future, there are no doubt areas that they would wish to improve upon.